Our software makes it easy for teachers or other school staff to report their safeguarding concerns which are then effectively managed by the school’s Safeguarding Lead. 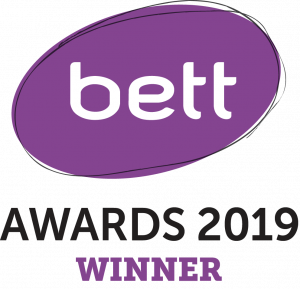 Our system ensures compliance with all current legislation, standards & guidance and provides clear, auditable safeguarding evidence for Ofsted/Estyn inspections. Quick, secure & role-based access from any computer or mobile device. Our iOS & Android apps make it easy for busy teachers to report safeguarding concerns from wherever they are. Simple and easy to use software, no lengthy form-filling. This reduces staff time, paperwork and administration. Having school wide data at your fingertips and our automatic alert system means early identication. Our software ensures compliance with all current legislation, standards & guidance and provides clear, auditable evidence for Ofsted/Estyn inspections. 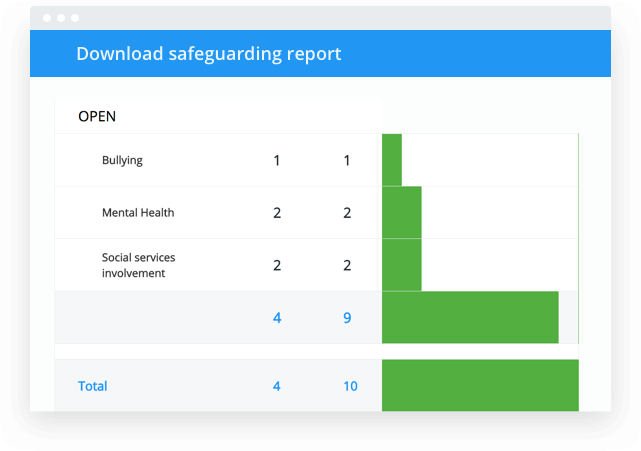 Our time saving reports about pupils or safeguarding areas can be generated at the click of a button and easily help you identify patterns. 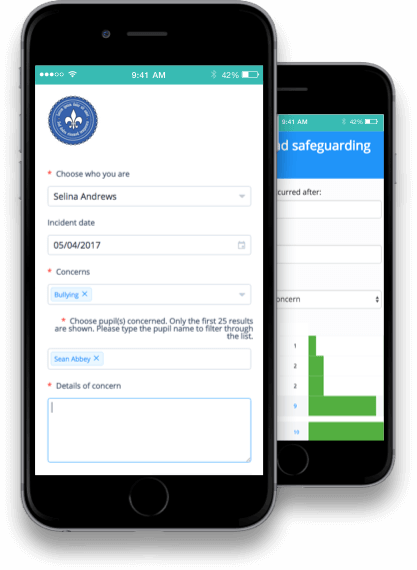 Our iOS & Android apps make it easy for busy teachers to report safeguarding concerns from wherever they are in the school. Book a demo with us today and let us help you succeed with safeguarding in your school.